It’s here! The most wonderful time of the year … to read! Reading together is a favorite activity in our family, and over the years, reading aloud has become a cherished part of our family’s Christmas tradition. I’ve spent years scoping out books at yard sales and thrift stores looking for hidden treasures to read to the kids. I won’t lie to you—I’ve also purchased some books that were total losers, and they ended right back where I found them. Ain’t nobody got time for that. 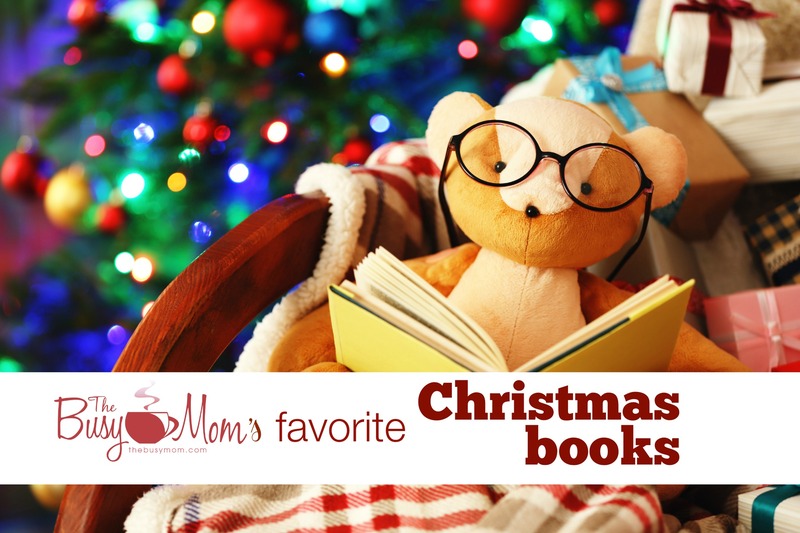 I had a great response to the list of favorite Thanksgiving books last month, so I’ve compiled a few of our favorite Christmas books too, in case you needed some inspiration as you start or continue to build your own family library. Remember, these books can be found at the library, thrift stores, eBay and a host of other places. If you’re like me, and you want to build a family library, make some room in your budget to purchase at least one or two every year. Those books will create their own special memories for you and your kids in the years to come. Coupla’ things before you see the list: I think moms need to be sneaky if they’re gonna teach their children to love to read. Sneaky moms put books everywhere. Would you like your children to read more? You can put your Christmas books into a basket and simply put them in a cozy spot, complete with couch pillows and throw blankets. Don’t be surprised when you find the kids going back to those baskets over and over again. Need gift ideas? Here are my PERSONAL favorites! Many of you have asked about the things I recommend on Amazon—so here they are, all together in one place! There are some great ideas for gifts this year, Busy Moms! I’ve seen a lot of bloggers writing posts with good deals, so I really didn’t feel the need to write one more of those. While these are competitive prices, I have chosen these products to share because they are recommendations based on personal experience. Everything on this list is something I or someone in my family loves and would heartily recommend. Roku Streaming Media Player – We canceled cable four years ago and never looked back. Funprint Drawing Book + Stamp Pads! The Busy Mom’s Guide to Romance, by Yours Truly! Spark Naturals Essential Oils (no membership required, great prices, great oils) use code THEBUSYMOM for 10% off! We took the kids to look at Christmas lights tonight. Me, my sister, our husbands and our children. It was gonna be GREAT. I imagined a quiet stroll down Peacock Lane and pictures in front of the Grinch house. Yeah. It didn’t exactly go down like that. I don’t know why, either. I used to go to Peacock lane with my grandparents when I was a kid. I remember it as nothing less than perfect. I won’t lie to you. There was some sibling bickering in the car on the way there. 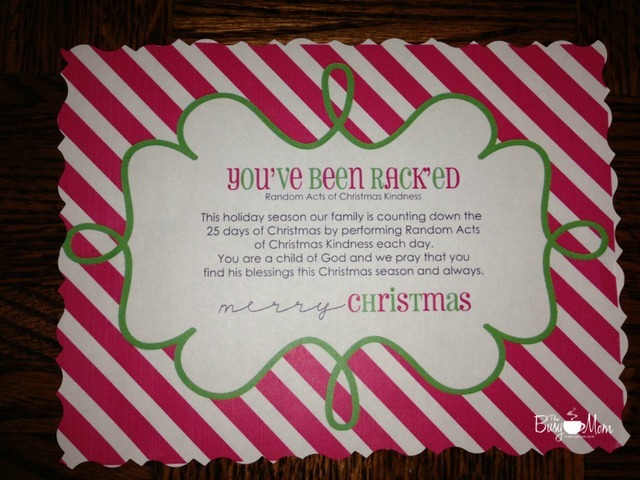 A certain four-year old was bothering her brothers by singing Christmas carols … off key. Someone ate someone else’s candy cane. On and on it went. Someone was cold. Someone was hungry. Someone had to go potty. The street we love to visit was crowded… BUT. “We are MAKING MEMORIES! !” I told them—and so out we all piled. A few times along the way, we had to stop and take a head count. It wasn’t relaxing. Two of the kids told me they would rather be home. (Yeah. And I would rather be “here” with you, listening to you bicker when I could be home taking a well-deserved hot shower?) But I digress. Here’s the reason I’m telling you the WAY IT IS. This parenting thing you’re doing—it’s not going to be easy. I’ve been at it now for going on 24 years. In my 24 years of parenting, I can testify to the fact that there are precious few “picture perfect” moments of family life. As moms, we live and breathe for those moments. Someone please. Just tell us that it’s not for nothing. We just want to know that it’s working, this investment of time, love and energy we’re making. We wonder why we’re trying so hard. Is all this fuss really worth it? Why are we making sugar cookies and watching “Miracle on 34th Street” for the fifteenth time? The kids don’t seem to appreciate it. Even my husband is doubting whether or not anyone cares. I’m here to tell you that it is. One day, your children will appreciate the fact that you made them stand in front of that wooden Grinch cutout for a family picture. Not too long from now, they’ll understand the sacrifice you made so that they could have a few traditions to share with their own families. Blink, and your teens will be young adults who will cherish those pictures that they argued with you about taking. I told myself that again tonight. We need to let go of this idea that things have to be like something out of a Better Homes and Gardens layout. Your turkey doesn’t have to turn out just right and you don’t have to have a hundred presents under the tree. Your kids don’t need a bunch of presents that they won’t remember in a month and that you can’t afford—but they do need YOU. Christmas comes just once a year. I say “make a fuss.” It’s the birth of our Savior. It’s worth the fuss. It’s a chance to get out from under our daily routine and be thankful. It’s a chance to give back. In this Internet age, this age of screen time and Facebook, Christmas offers us a chance to step away. We can step away, look at some Christmas lights, watch a few old movies and while we’re doing it, we can assess where we’re going and what we’re sowing. We are sowing, after all. Real Christmas memories are made on nights like tonight. Or at least, I keep telling myself that—no, my grown children remind me of what I need to know to keep going… the little ones, the tweens, the teens… they will get it. Come to think of it, I have a hunch it was hard on my grandparents when they took us to see the lights on Peacock Lane. It’s just that I don’t remember the fuss. I only remember the feel of my hand in my grandmother’s gloves. I remember Grandpa telling me how hard it must be for Santa to get all the way up to some of those chimneys. I remember hot chocolate. I bet we argued. I bet we spilled our hot chocolate. I bet my grandparents fell into bed and wondered if it was worth it. So, when I think about them, yes. I believe it’s true. Christmas is right around the corner. All of our preparations – the gifts, the decorations, the cooking and baking – will soon culminate in some sort of family gathering meant to inspire faith and fellowship. While family gatherings at Christmastime can be a great source of joy, in some circumstances they can become a source of stress, or even in extreme cases, dread. Childhood memories may be fond but as we grow and become independent adults, often our viewpoints and values take different paths. 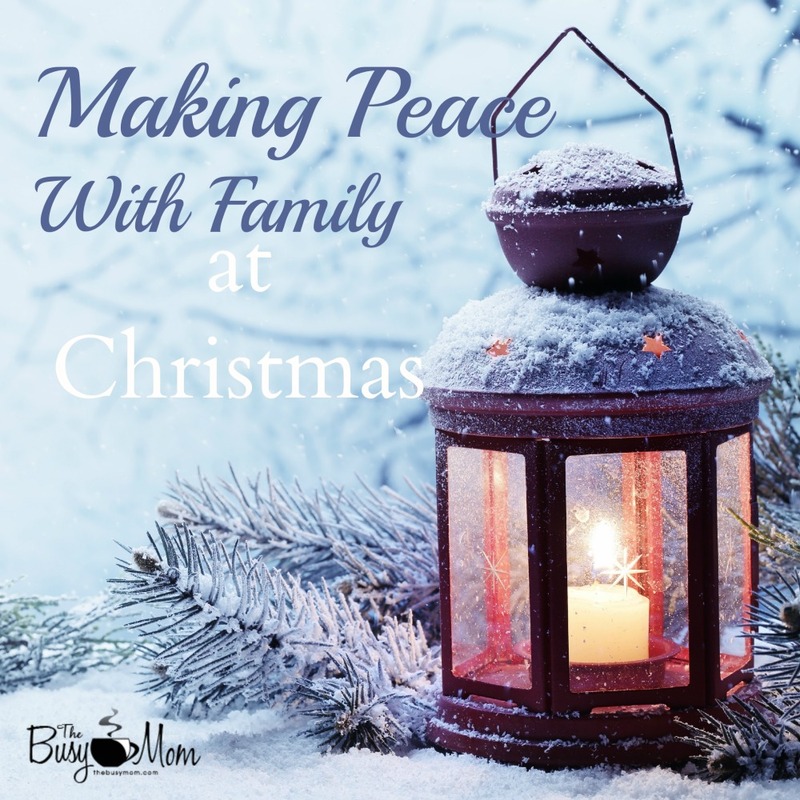 This can cause a lot of friction, but with some careful thought and the preparation of our hearts we can make peace with our families this Christmas. While none of us will achieve perfect peace with our families this side of heaven, there are some simple and practical things that we can do until then, to be able to enjoy our time together. Pray for the days that you will be together. Ask others to pray. Pray that God would give you a heart like Jesus; a heart that loved and served and forgave and a heart of humility that understands that we humans are a broken and sinful lot. We all need grace! Pray also for the hearts and souls of everyone gathered (but not over the Christmas dinner!). Pray for unity of mind and spirit for all. If debating politics causes aggravation, agree to leave those discussions for another time. Remember, Christmas is a time of rejoicing and, for kids, making lots of happy memories and showing them what family is all about. If religious beliefs are vastly different, agree to disagree and let. it. go. People will be more impressed by your behavior than your words. One of the things that is so difficult about family gatherings is that family members know one another so very well. We know each others’ strengths and weaknesses. In treating one another as we would like to be treated, is it possible to overlook another’s faults and focus on the things that you like about each other? What do you have in common? Focus on the things you both enjoy or find interesting. Smile and choose to be joyful. If, despite your best efforts, the conversation turns towards things that cause conflict, show one another the respect that all human beings, especially family, deserve. Many a lively (yet respectful) conversation has been the cause of new understanding and changed hearts. Insults and put downs will only serve to alienate the other person from you and your ideas anyway. Is it all about being right? Or is there a bigger picture? I would rather use caution in my conversations and overlook an insult than not spend time at all with family. Isn’t that a large part of what Christmas has become? We are celebrating the birth of our Savior, yes. The tradition of spending this special day with family is a large part of that experience. Sharing the joy of the season with family is a blessing. If we are going to insist on only spending time with those that think and feel exactly like us, there is a good chance that we will spend much of our lives, including the holidays, alone. If you want a joyful celebration this Christmastime, it may take some care, but not only is it doable, it is totally worth it! 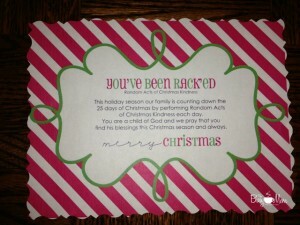 What tips do you have for making peace with your family this Christmas? Some of my favorite Christmas memories are embedded in not one particular event, but a tradition. From as early as I can remember (and I’m told I was about 3 when one of the memories I have described to my mom took place) until my grandparents passed away, we had Christmas Eve dinner at my grandparents’ house. The event included dozens of cousins, aunt and uncles, and even my great-grandmother and great aunt. It always started at 7 p.m. My grandmother was never ready – always still wearing her messy “cooking clothes” – and the gifts she was giving were never wrapped, just stacked up in her bedroom. My mom and my aunt usually wound up wrapping them while my grandmother got ready. She always had a gift for everyone – even unexpected guests. She always bought extra for just that reason. The adults never ate quickly enough for the kids and we, the kids, asked “Is it time to open presents yet” no less than a dozen times. I think it’s important to create family memories. They provide ties for families as they grow and change. I rarely see some of those cousins of mine anymore, but we have those shared connections when we do get together. 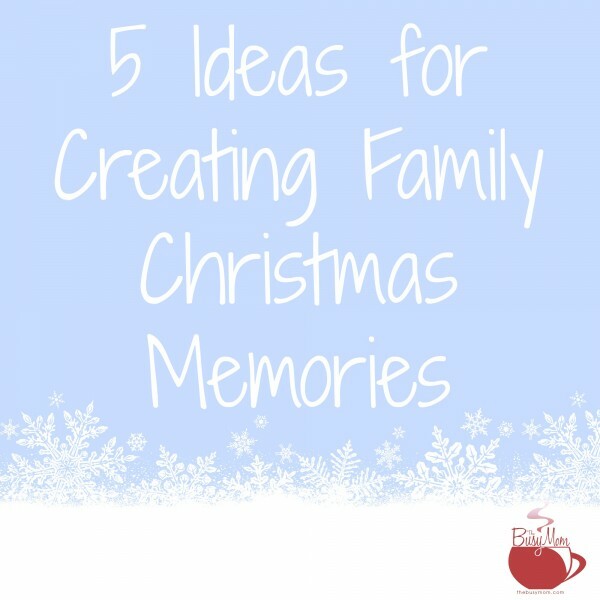 How can you create shared memories for your family? I could probably name off at least half of the items on the menu at my grandmother’s house. They weren’t elaborate, but they were family favorites. Some families have a special breakfast Christmas morning – breakfast casserole or cinnamon rolls, anyone? Others may have a special lunch or dinner. It doesn’t have to be anything spectacular. It’s the consistency that’s important. Of course, the extra special meals may create their own memories. I still remember the year that my step-dad’s grandmother visited with us at Christmas. We ate Cornish hens and wild rice on the good China. The traditions can be big – like the family dinner at my grandmother’s – but they can be small, too. My mom used to let my sister and I open one gift on Christmas Eve. It was always PJs. I always let my sister sleep in my room on Christmas Eve. Okay, okay. It was so she wouldn’t sneak in to see what Santa left before I woke up, but still. Now that I’m the mom, I try to make sure we have eggnog when we decorate the Christmas tree. My youngest usually puts the angel on top of the tree – a job handed down from her older sister. Ornaments can create memories of their own. We have the applesauce/cinnamon/glue ornaments that my oldest made with her American Girls troop years ago. Then there are the new Hallmark ornaments that we purchase every year – a special one that I choose for our family and the one the my mom gives us. We have homemade ornaments that bring back memories for all of us. There are those that the kids made, the one I made in elementary school, the one that one of my best friends made for me in high school, and the one that my 5th grade teacher gave me. My kids may roll their eyes a bit when they hear these stories again and again, but I think they secretly enjoy them. My family never really went to Christmas Eve services when I was growing up. (We were probably on our way to my grandmother’s house!) However, for the last several years, my family has enjoyed our church’s Christmas Eve service. I hope we’re creating memories for our kids. 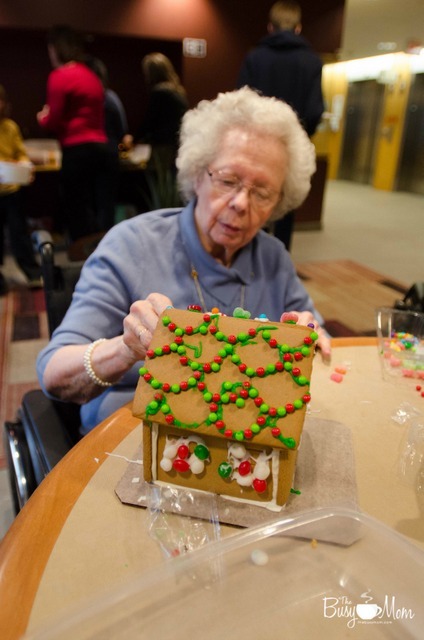 Other families enjoy Advent calendar activities throughout the Christmas season. Finally, a great way to create memories with your family is to look for opportunities to serve together as a family. This may mean spending time serving at a soup kitchen, making meals for neighbors or shut-ins, or singing Christmas carols at a nursing home. What you do depends on the personality of your family, but whatever you choose, serving others is a wonderful way to spend time together as a family – any time of year! What are some of your favorite Christmas memories? Entertaining during the Christmas season can be fun, exciting and…expensive. 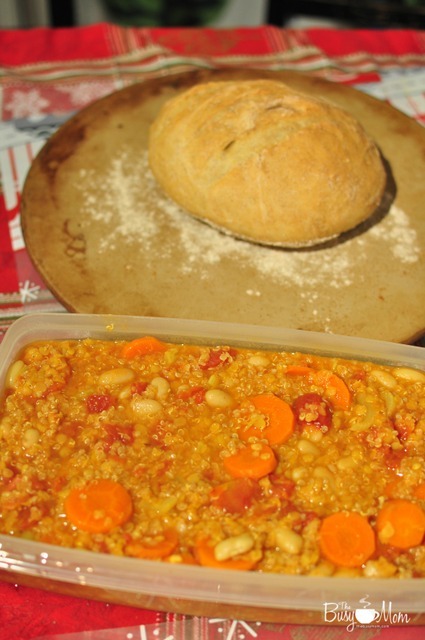 The budget can easily be broken by extra goodies to bake and (the big one) presents! I love to GIVE! It’s exciting to see the joy on a child’s face when you say “I have something special for you”. However, I come from a large, mixed family. Entertaining only my siblings’ immediate families means I’m hosting 25 people at a minimum. So I’ve had to get creative with the budget. There was a time when I happily broke the budget to get everyone “at least a little something” — racking up debt. Since then I’ve learned that while God calls us to be giving, He also calls us to be responsible with what we’ve been given. I don’t believe God wants us to go into debt giving trinkets at Christmas time. The last one is my favorite! Not only because it saves a ton of money, but because it builds so many memories. And that’s what the holidays should be about. Children will likely forget that little trinket you bought them; but they will remember the warm, loving, fun time they had. 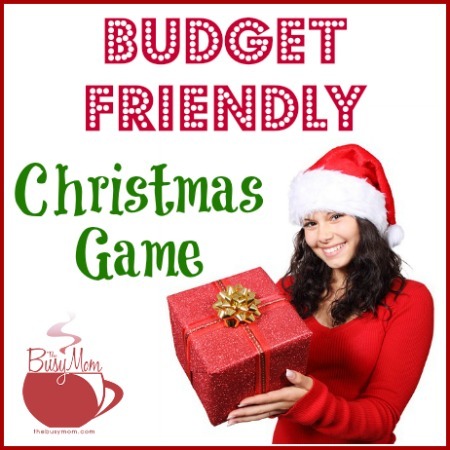 My favorite budget friendly Christmas game is Yankee Trader. This game is also known as White Elephant…but we’re below the Mason-Dixon, so around here it’s Yankee Trader. In order to play Yankee Trader, guests must know to bring a gift ahead of time. You may want to buy a few extra, inexpensive gifts to have on hand in case someone forgets. This game might be a little upsetting for young children who don’t like to have their gift “stolen”, or if there are only adult gifts. 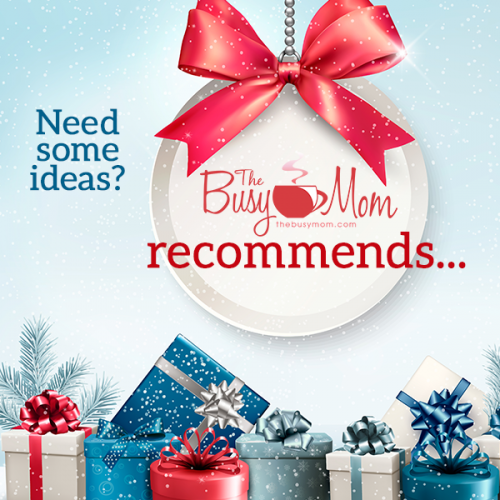 Encourage guests to bring fun, goofy gifts kids will enjoy. Have fun, Yankee Trader always brings a TON of laughs and happy memories to our gatherings! Do you play games at your Christmas parties? What’s your favorite? Christmas time. A time of celebration of Christ the newborn King. A joyous time of year for many, but also a very difficult time of year for many. Whether emotional, physical or spiritual, we will always know someone who struggles to keep going. And it’s our responsibility and great privilege to meet their needs. While we should always be on the lookout for those who are in need, being ready and willing to help and ease the burden, Christmas is a fantastic time of year to really get into it. And it’s the perfect opportunity to involve your family, as you take time off for the holidays. Over the last couple of years, we have relaxed our school schedule during the month of December. 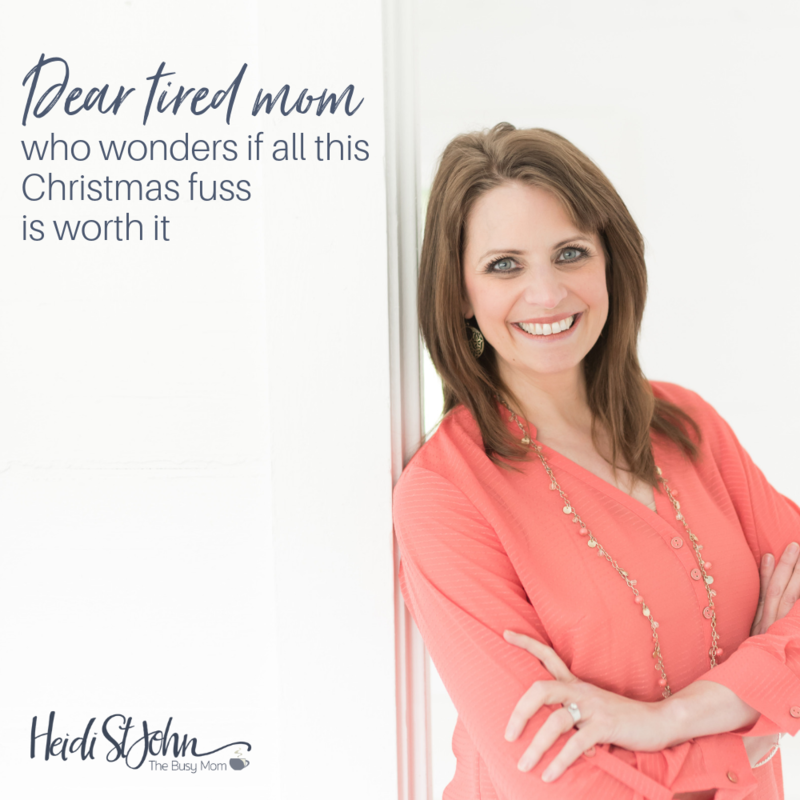 Each year before that Christmas approached, I felt stressed out as there were so many projects and things we wanted to be involved in, but just weren’t able to for lack of time. When we planned for a release of our expectations for school during the month of Advent, we were able to accomplish so much in the way of blessing and serving others. If you homeschool, I would encourage you to examine your schedule throughout the year, and work in a way to have a few weeks off during December (including BEFORE Christmas) to serve. That is part of the beauty of homeschooling now, isn’t it? To have the flexibility to set our own schedules, and most importantly, to be involved in the lives of others, as a family. 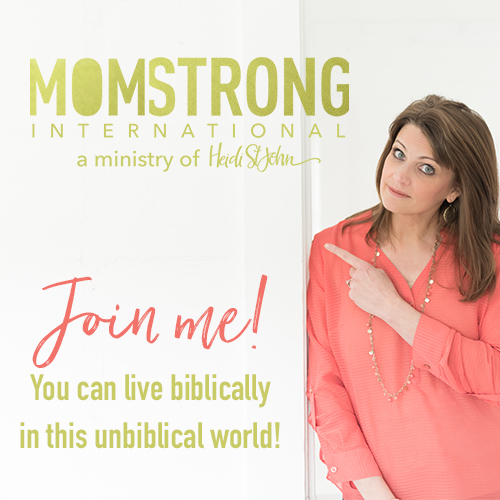 If you are not homeschooling, I would encourage you to find ways as a family that you can serve just over the time your kids may have off school. But this isn’t just about being all rosy and glowy servants during Christmas. This is about desiring and exhibiting a heart for serving ALL year round. Christmas is a fantastic time to start though! As a family, we have come up with a list of ways we can be serving and caring for others on a regular basis, but also specific projects to tackle during Christmas. This list is certainly far from finished, but I hope it sparks some ideas for your own family and enables you to find a starting point of serving. Visit a nursing home or hospital ward. This has to be one of my FAVOURITE ideas of all time. 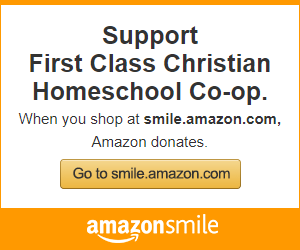 We did it growing up as a homeschool group, and now my kids are doing it with our co-op group. They work hard to put on a program for the seniors, and everyone loves every minute of it! After we socialize with some homemade goodies and put together gingerbread houses. 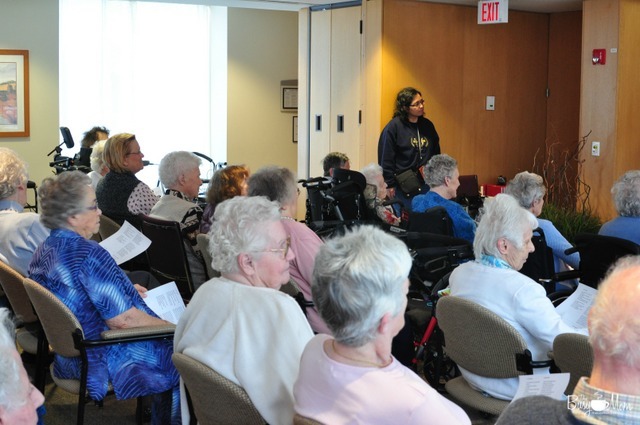 Contact a seniors/nursing or retirement home in your area and ask about coming in, as individuals or a group, to bring a light. The same could be done at a hospital ward, though you may be limited to coming and singing songs throughout, delivering goodies to rooms, and visiting for a few moments. Though it may be uncomfortable and it will definitely be stretching, all these people are probably not thrilled to be in a hospital for Christmas, so think of how much of a blessing it would be to them. We often have no idea what other people are going through. That’s why I love small groups so much, because it helps you to stay connected with people you may not normally “hang out” with, while building each other up in your walk with Christ. But most importantly, it makes a way for you to meet the needs of others. Though you may not know what everyone’s needs are, someone knows! And the question begs to be asked, especially at Christmas when the money gets tighter. Ask your small group leaders or elders if there are any families that have needs to be met. Whether it be financial or physical, do your utmost to fulfill them. Make some meals, offer transportation, buy gifts or Christmas dinner, be there to comfort them or invite them to your home if they have gone through the loss of a loved one. Often a few months after, they fall to the wayside, but now especially need to be surrounded by love and encouragement. Offer babysitting to parents (especially single parents! ), so they can get shopping done or just have some time to breathe and relax. Another way that you can meet a family’s needs is through organizations like Gospel for Asia. I’m talking about buying cows, bicycles, sewing machines and wells. Each year we choose gifts from the Gospel for Asia Christmas catalogue to help a family in need. This is something the kids look forward to so much, and we have been so blessed to see the sacrificial way they give. What an amazing opportunity to change the entire livelihood of a whole family in need! 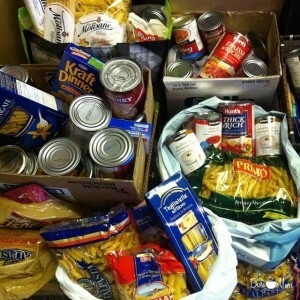 Contribute to your local food bank. Our church organizes a food drive donation each year, and the kids REALLY get behind this. Though surprisingly, this year they said “There aren’t any poor people in our town.” And they’re sort of right, to the naked eye, you can’t SEE those who are suffering in our town. But when you go to the food bank and hear about the people who use it, you realize things aren’t always as they seem. So go, bring some goodies, ask some questions, go for a tour, and help your children to see that things aren’t always as they seem, and we often need to look past appearances to see the hurt. There are SO many opportunity and areas to volunteer in, it makes me giddy! Unfortunately in our area, a lot of them you have to be over 18 for. So I’m waiting excitedly until that day! (Only 9 years to go :D) Food banks, soup kitchens, shelters, crisis centers, homes for women and children, churches, Operation Christmas Child packaging facilities – if you Google it, you will find it. This is a new idea we’ve had this year, and are so excited to be involved in! Many kids in Africa have sores and infection on their feet because of sand fleas that burrow in and lay eggs. All because they have no shoes! 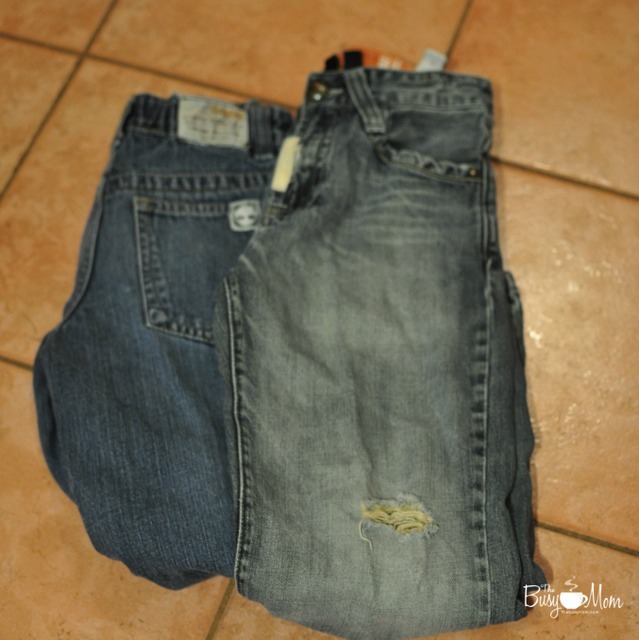 Sole Hope came up with a way to help, and it involves taking your old jeans and cutting them into shoes. It’s a really easy way to give back ANY time of the year, not just at Christmas. The kids are making cards and handing out letters to their friends asking for their old jeans to make new shoes. In reality, any of these ideas are things you can do year-round. 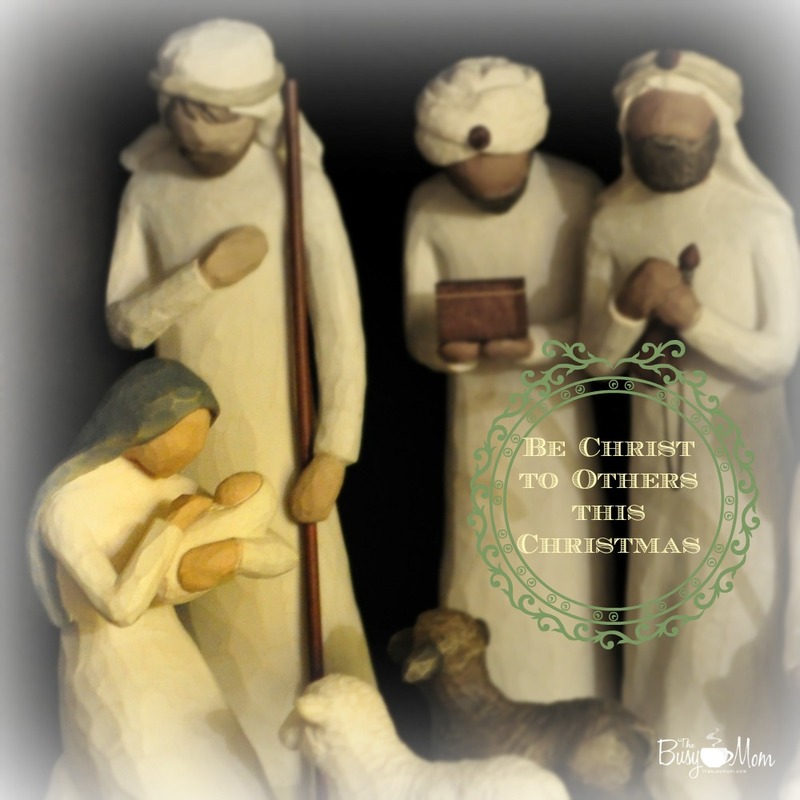 But especially at Christmas, when the message of Christ coming to serve and to save is so prevalent – what better way can you be like Christ than to serve others in His Name? What fun ways of serving do you take on during the month of Christmas to serve and bless others?